For a more enjoyable experience, please attend the Dance Classes. It is recommended that you be on time for the start of the classes, as the teaching is progressive. 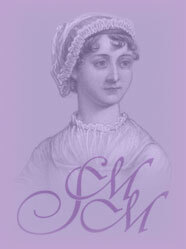 AGE LIMIT: Attendees must be at least 13 years of age to attend the Jane Austen Evening and dance practices. Children under 18 must be accompanied by an adult. This is an adult event and children are expected to behave as adults. NEW LOCATION: El Segundo Masonic Center 520 Main Street, El Segundo, CA 90245 Parking is available in the lots on the north side of the building. Additional parking is available across the street on the southwest corner of Mariposa and Main.